A child's first visit to the dentist should be enjoyable. Children are not born with a natural fear of the dentist, but they can fear the unknown. At Corydon Dental Centre in Winnipeg, we aim to create a child-friendly environment by making a special effort to use pleasant, non-frightening, simple words to describe each treatment. We want you and your child to feel at ease from the moment your family arrives at our office. The more you and your child know about the first visit, the better you will feel. By ensuring that your children are comfortable visiting the dentist, we will help build healthy dental habits that last a lifetime. Whether your child has reached the point where they need their first dental visit, they’ve lost their first baby tooth, or they’ve had their first dental emergency, we can help. 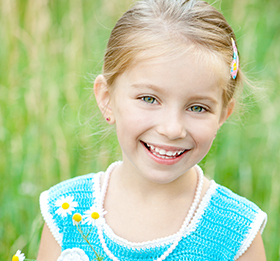 Contact our Winnipeg dental office today and we will find a time that suits you and your child.